Founded in the Netherlands in 1990, ISEA International (formerly Inter-Society for the Electronic Arts) is an international non-profit organisation fostering interdisciplinary academic discourse and exchange among culturally diverse organisations and individuals working with art, science and technology. 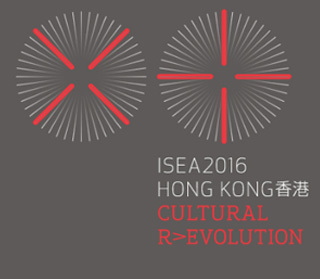 The main activity of ISEA International is the annual International Symposium on Electronic Art (ISEA). In an important move for ISEA, an agreement with University of Brighton to establish an ISEA Headquarters was signed in July 2009. ISEA HQ provides an administrative, academic and creative base for ISEA and develops a fruitful partnership with a leading research University. The symposia began in 1988.